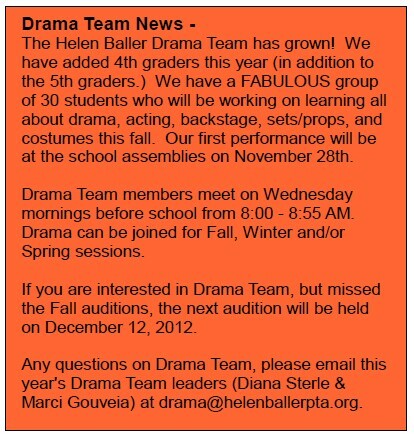 If you are in 3rd – 5th grade, you may come and see what this musical group is up to this year. Come to a lunch recess practice and try it out. Watch for the signs outside of the Music room for when the team is practicing. If you join, you will be asked to sign a contract for the remainder of the school year and you will be get to perform for the school and for the community on many occasions. It’s a great way to learn or improve your music ability and be a part of a vibrant team at Baller. Send any questions to Mrs. Hardy at patti.hardy@camas.wednet.edu.